Made in Chelsea is about to hit your screen again next month and new cast members have just been revealed for the upcoming season which will be set in New York City. 4 Americans have been added to the cast to spice things up a little and provide the gang with allies that will have the scoop on how things work locally. Stunning Billie Carroll is the daughter of the owners of a sweet shop chain which includes outlets named Sugar Happens and Oh Sugar. Born in the Bahamas, Carroll now resides in New York where she works at a fashion house called Kings of Cole located in Manhattan. Billie even finds the time to maintain and updates her own fashion blog. Close friend of Billie's Carson Eisenhart will also appear in this season. Eisenhart is currently working his way up in the real estate business and is hoping to make his fortune there. Carson and Billie are almost inseparable on nights out in Manhattan and have been ever since meeting in college where Eisenhart studied anthropology. For the ladies to salivate over, male model Jules Hamilton also joins the cast this season. Another New Yorker, Jules is currently cashing in on his natural good looks by working as an international model while his passion lies in shooting and producing movies. And last, but not least, Alik Alfus is another outgoing New Yorker that will definitely be entertaining. Alik is big into competitive sports like tennis and baseball while also a huge music fan. For work, he is the vice president of his parent's leather company Libra Leathers which is a major player in the fashion industry. 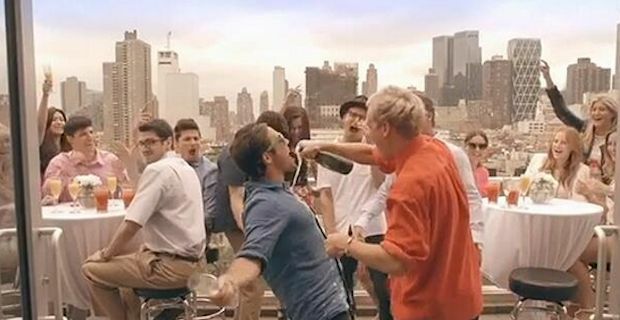 Made in Chelsea: New York will air on E4 in August and fans can expect the behaviour on show to be even wilder than before. You will be able to catch favourites Jamie Laing, Spencer Matthews, Rosie Fortescue, Cheska Hull, Mark Francis Vandelli, Louise Thompson, Lucy Watson, Alex Mytton and Stevie Johnson in action over the course of 6 episodes in the Big Apple.